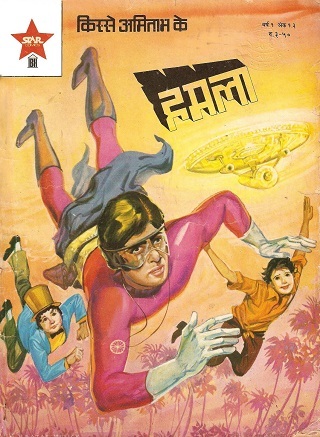 Home » Bollywood News » #CatchFlashBack: Amitabh Bachchan, comic book series character? No other star except Rajesh Khanna experienced the level of stardom that Amitabh Bachchan enjoyed in the 70's and early 80's. More than the story, what mattered back then were Amitabh Bachchan's mannerisms in all his films. The level of stardom attained by Big B was so high that renowned book publishers, India Book House Pvt. 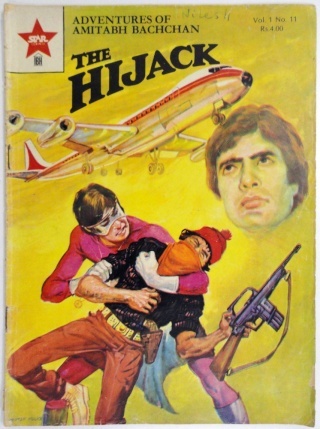 Ltd. with the assent of Amitabh Bachchan came up with a comic series called 'The Adventures of Amitabh Bachchan' in which the actor featured as himself i.e. a superstar who had the ability to morph into superhero Supremo whenever a serious crime was committed in the city. 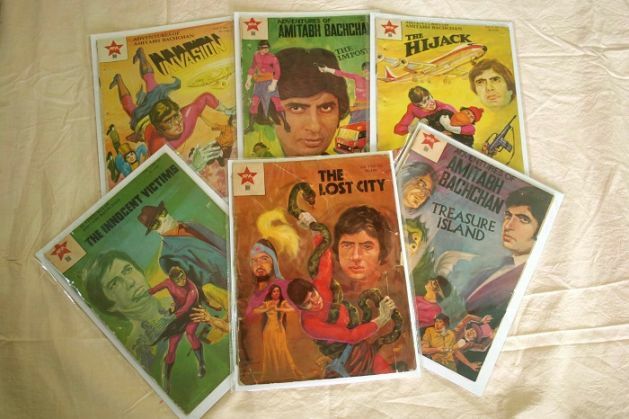 The comic book had a new issue every month and Big B used to personally sign the first page of every copy to greet the kids. After a two-year successful run, the series was discontinued for reasons best known to the publishers, leaving fans of the comic series disappointed. Also Read: When Aamir Khan celebrated Diwali in the most unexpected way! While Big B used to disguise himself as Supremo in the comic series, we wonder if the same inspired director Tinnu Anand to cast Amitabh Bachchan in Shahenshah which had a similar premise. An issue was published in Hindi and English every month. The comic book was such a huge success that rival publishers too came up with a comic series featuring Indian cricketers post the 1983 historic world cup win. What do we learn from this Flashback? 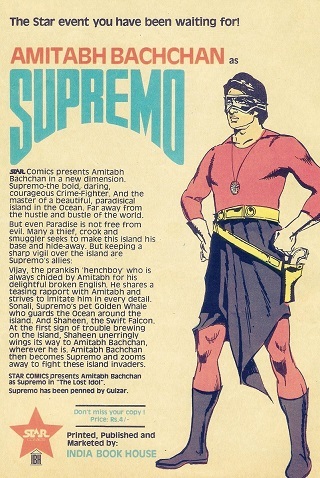 Amitabh Bachchan as Supremo was India's first superhero and not Krrish or G.One..
Will Singh is Bliing garner good ratings on its TV premiere? READ NEXT >> Will Singh is Bliing garner good ratings on its TV premiere?